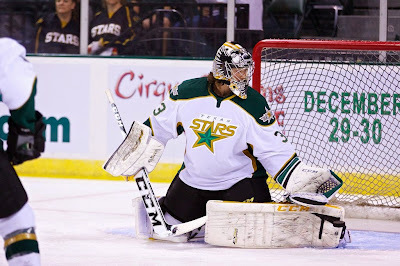 Rookie goalie Maxime Lagace has been recalled from the Idaho Steelheads this morning ahead of Texas's game this evening in Oklahoma City. It is not expected that he will play in tonight's game. Based on their preseason performances, if someone were hurt, I would have expected to see Henrik Kiviaho recalled. That means something else is going on here. More information on the transaction and its reasons as they become available.